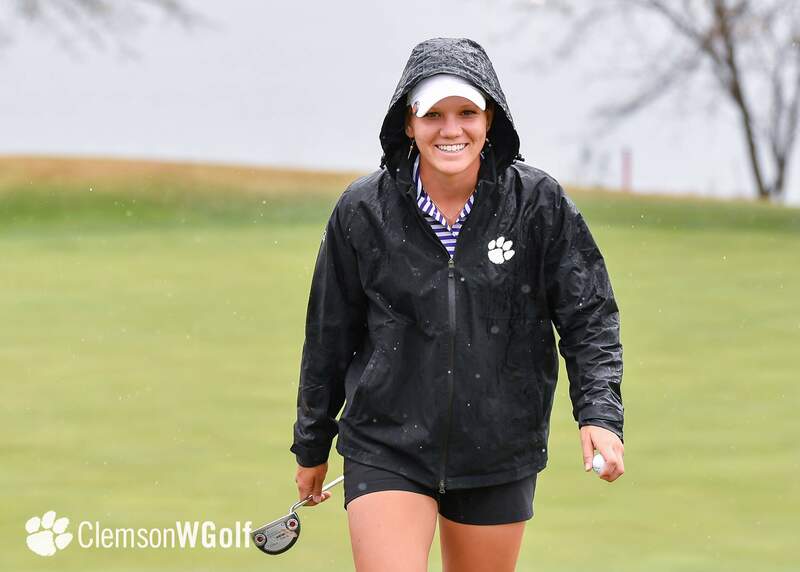 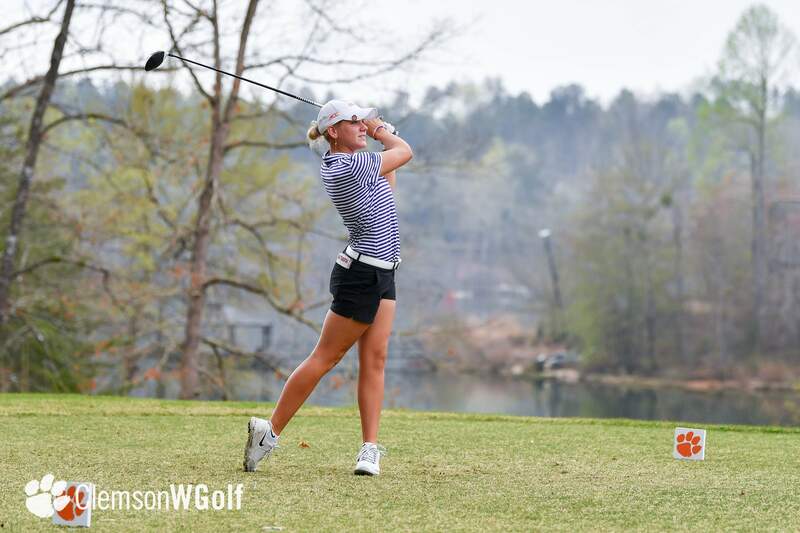 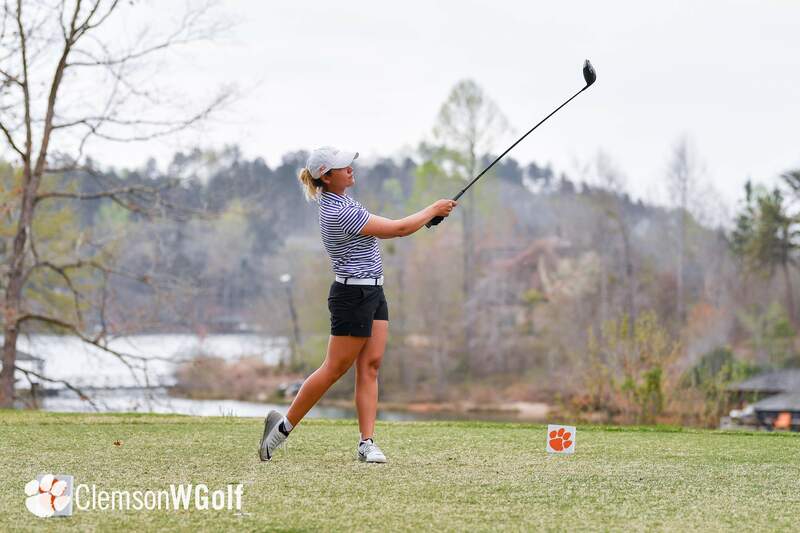 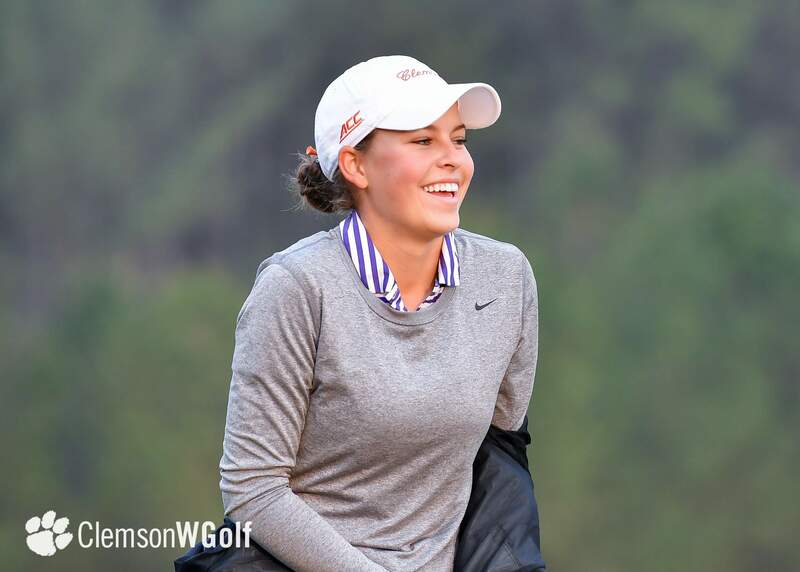 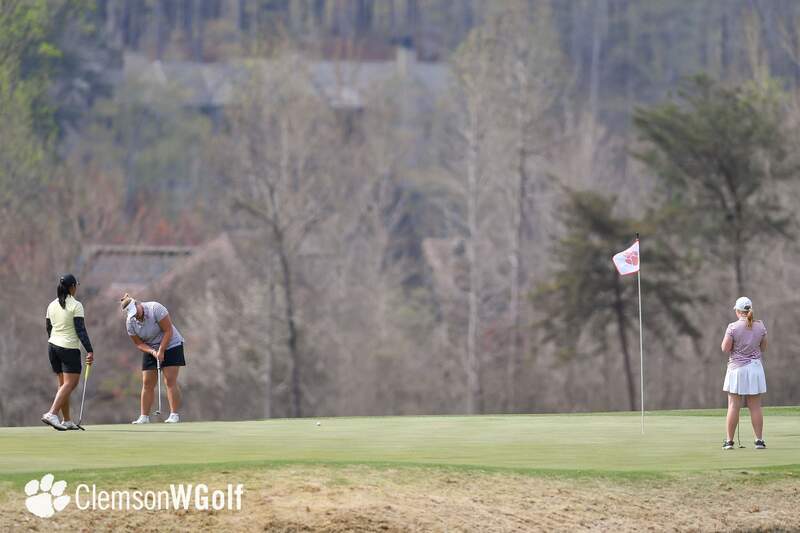 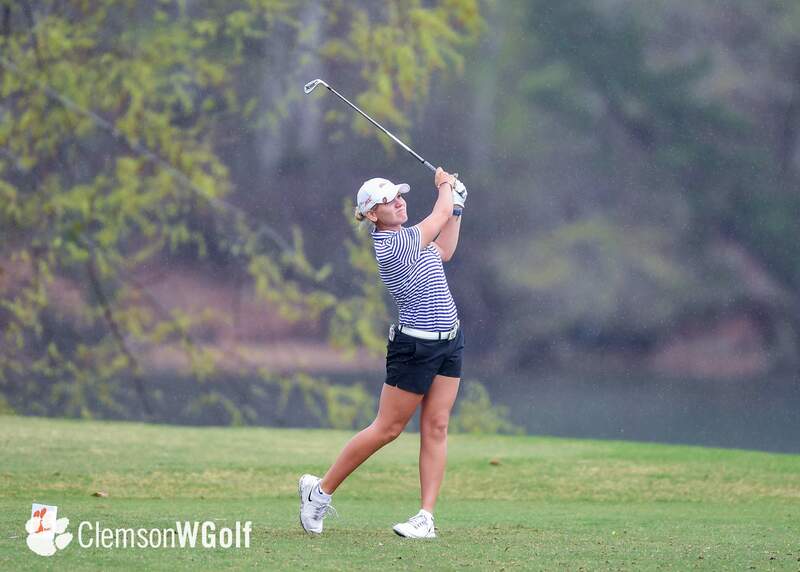 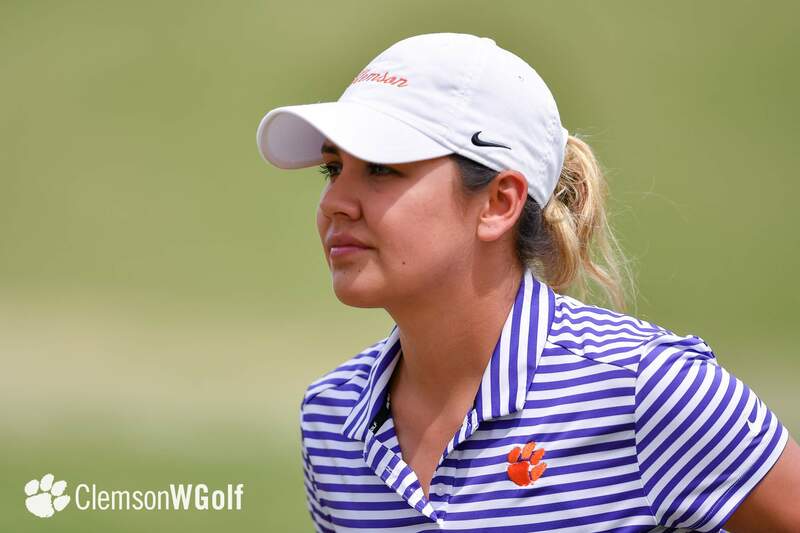 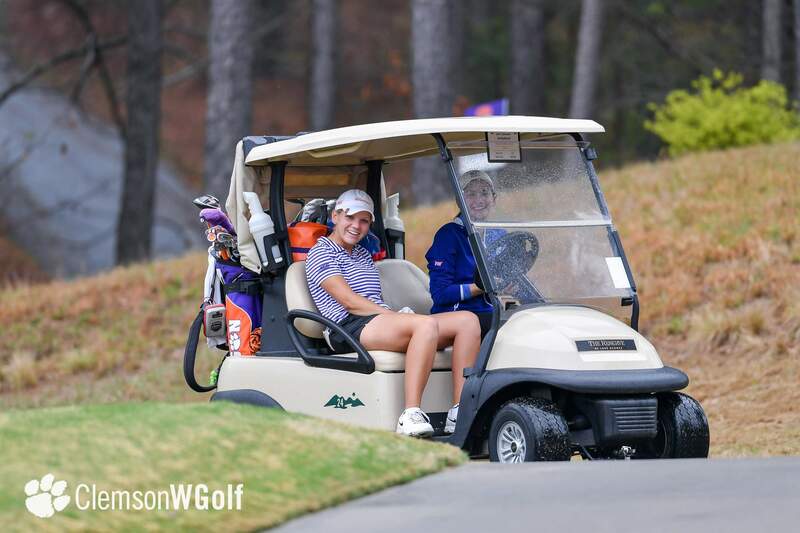 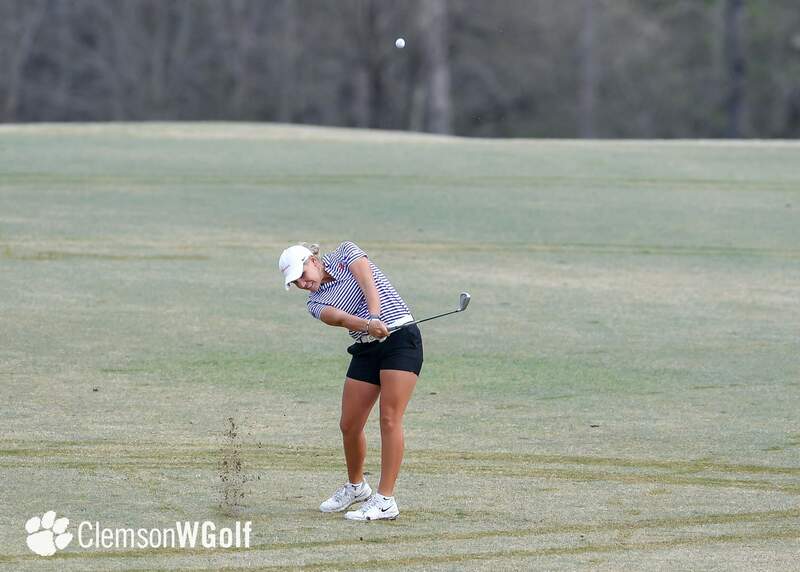 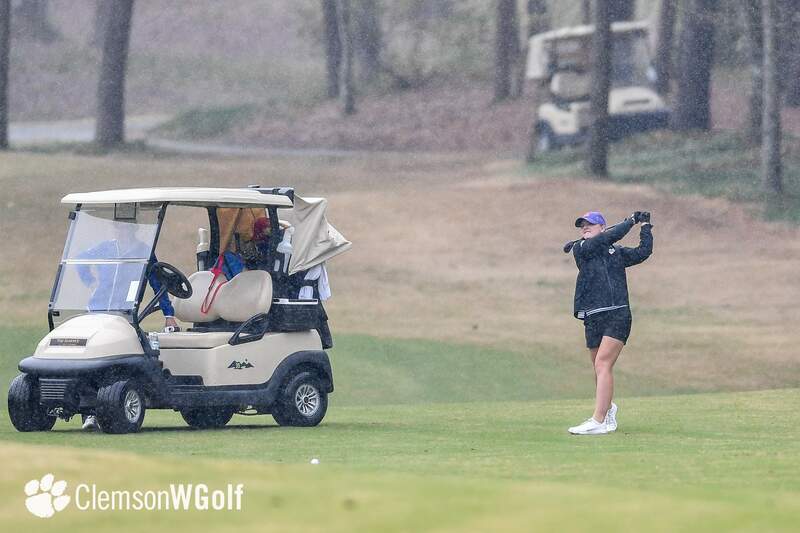 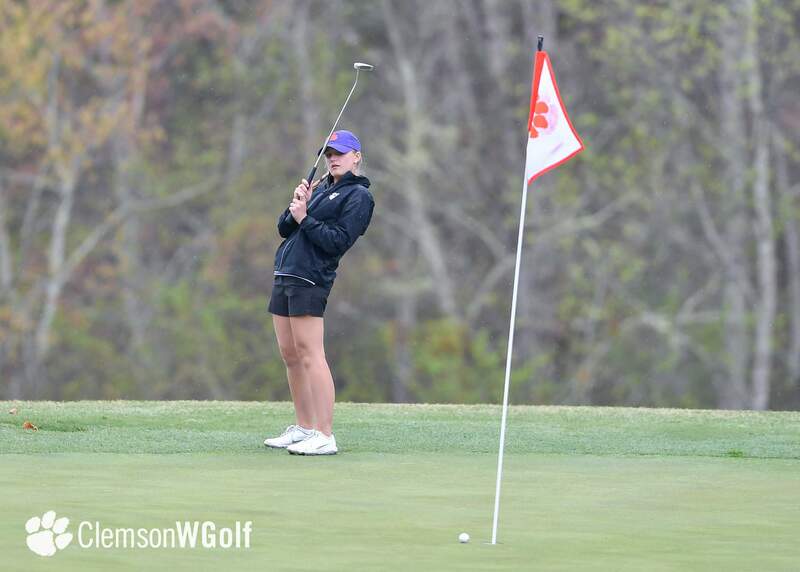 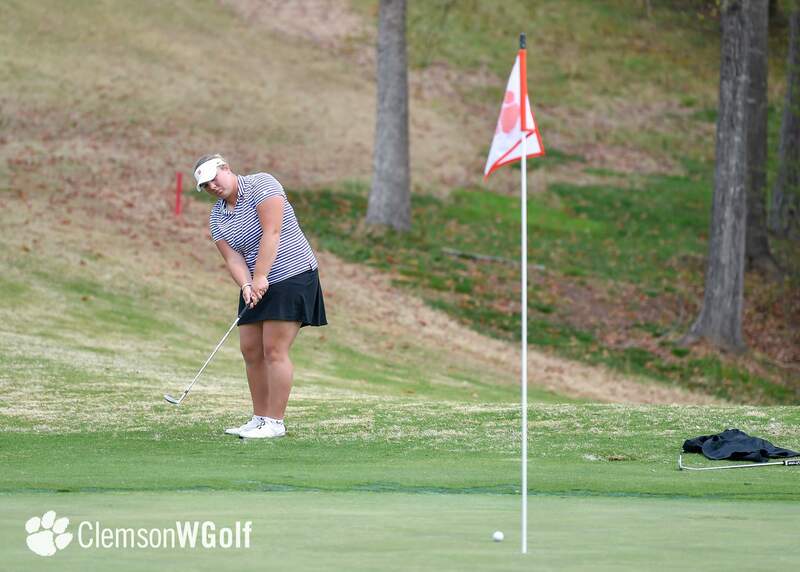 Clemson, S.C. – Clemson’s freshman Ivy Shepherd tied the tournament record for low round on Monday with a 65 to lead Clemson to a third-place standing after two rounds of the Fourth Annual Clemson Invitational at the Reserve at Lake Keowee. 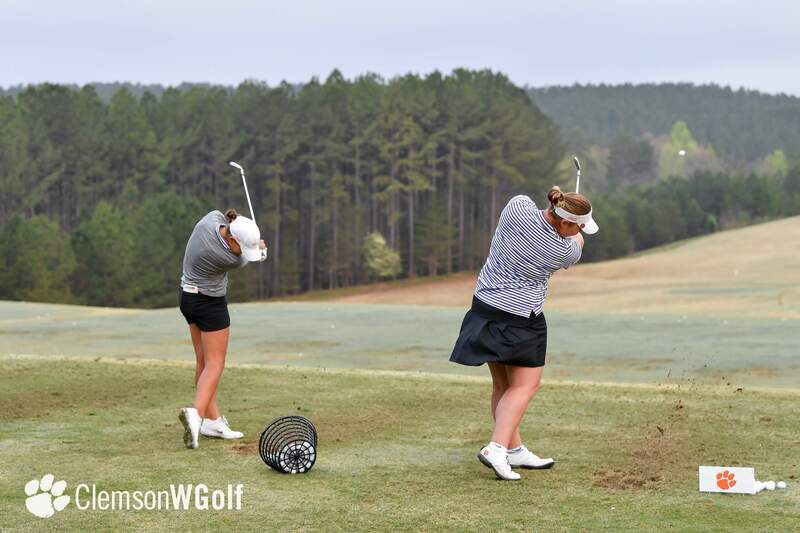 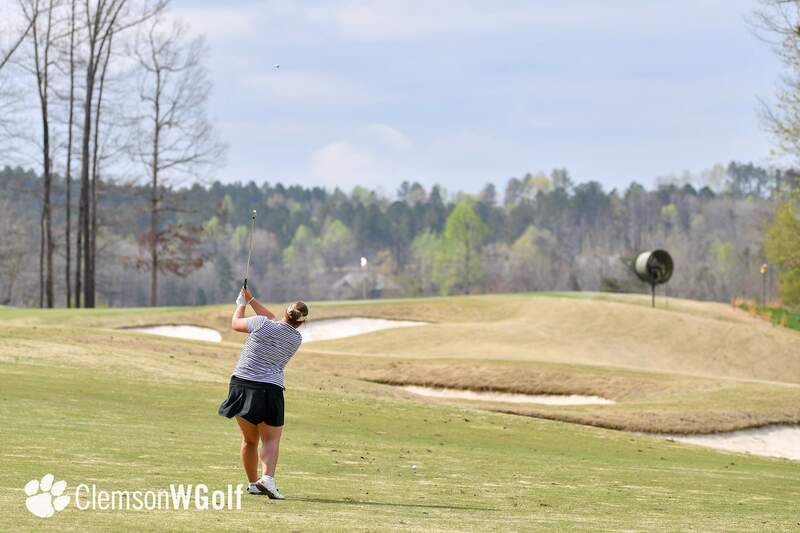 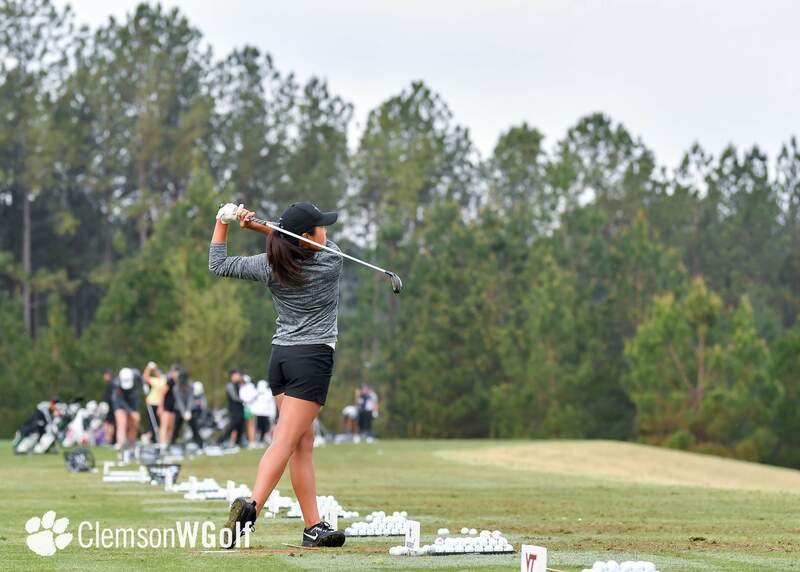 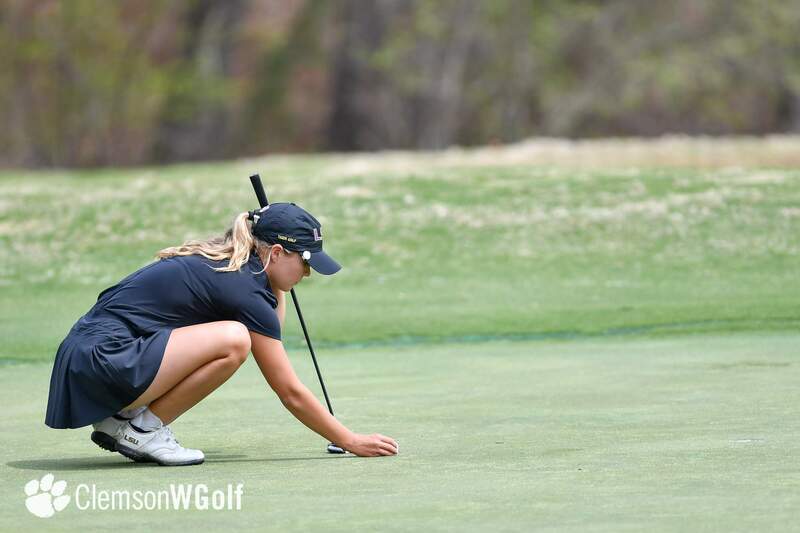 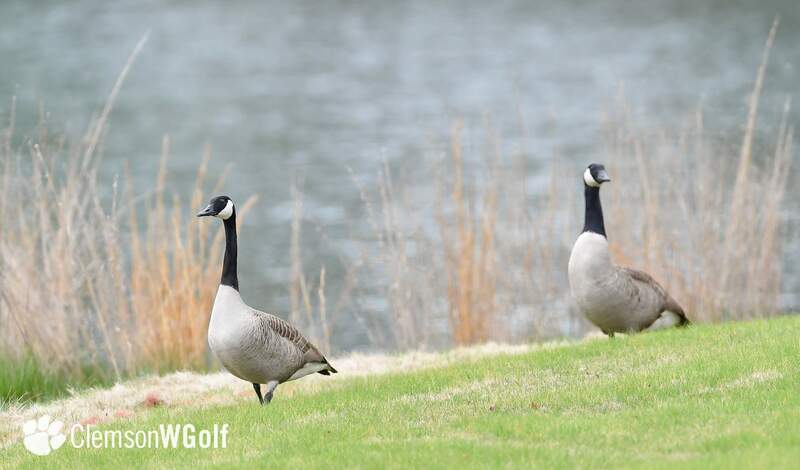 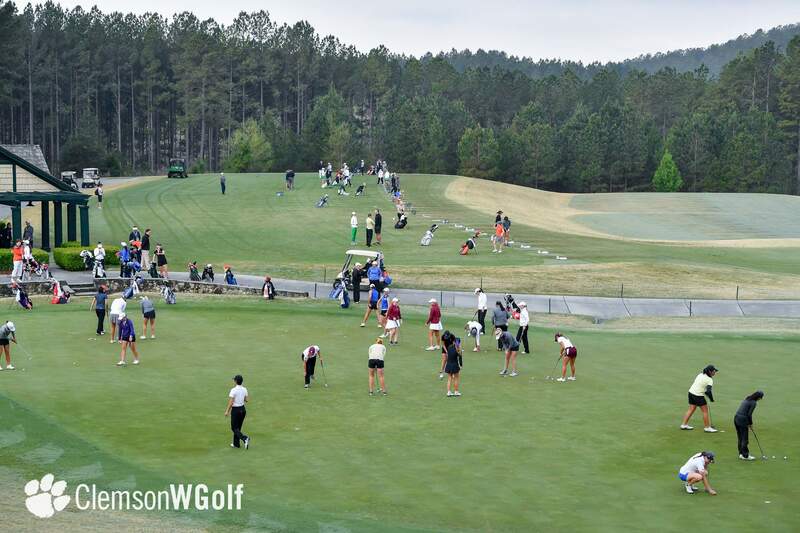 The 18-team field includes 10 of the top 50 teams in the nation, 16 of the top 100 players in the nation and five golfers who played at the Augusta National Women’s Amateur over the weekend. 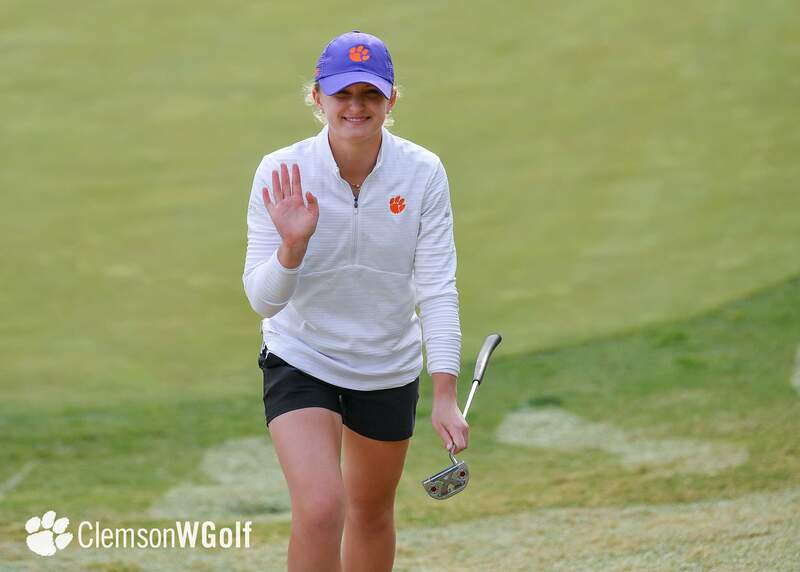 The national field includes six teams from the SEC, four from the ACC and four from the Big 10. 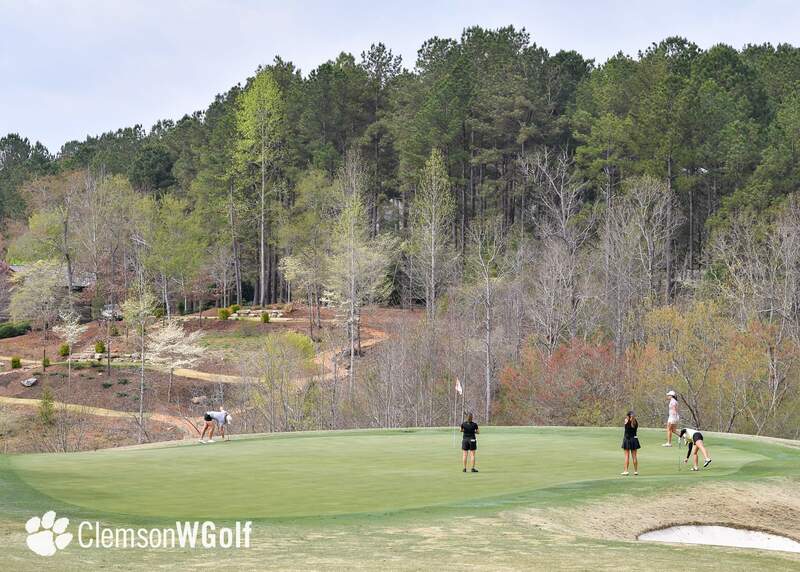 Vanderbilt holds the team lead by eight shots over Auburn, who has a 13-under par 563 after two rounds. 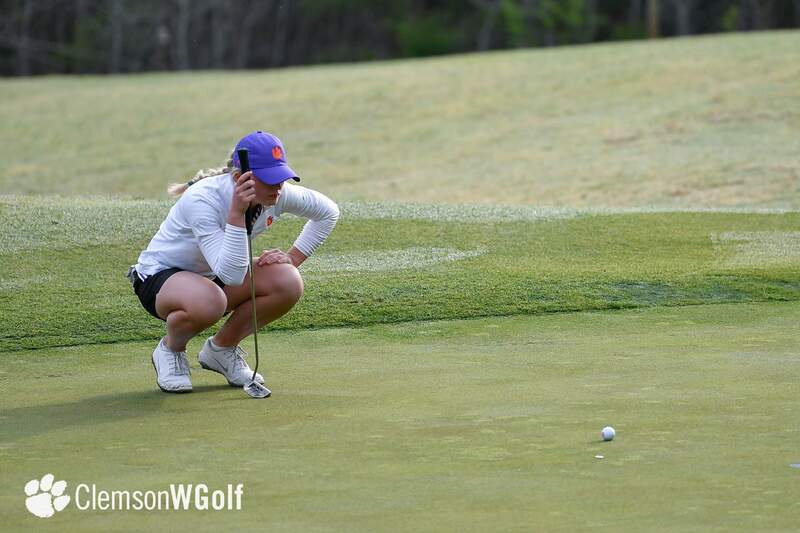 Clemson is third with an eight-under par 568, while Illinois is fourth with a two-under par 574. 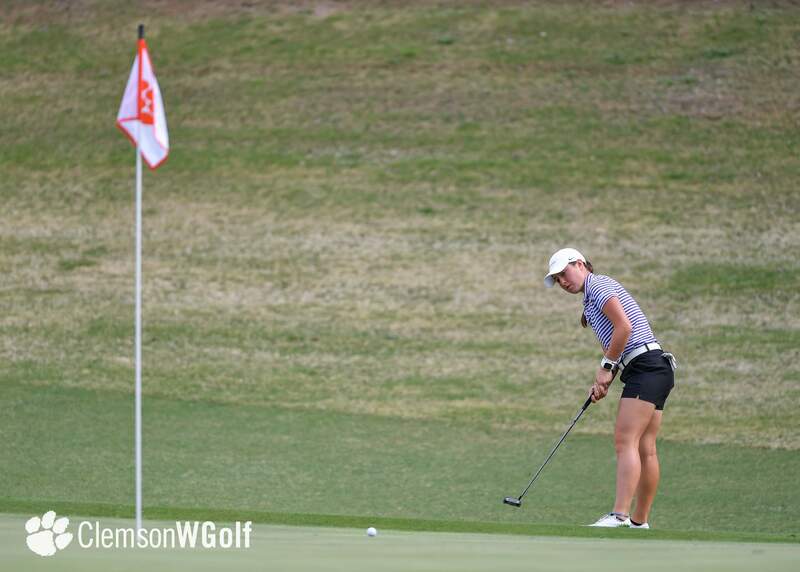 The Aggies of Texas A&M round out the top five with a one-under par 575. 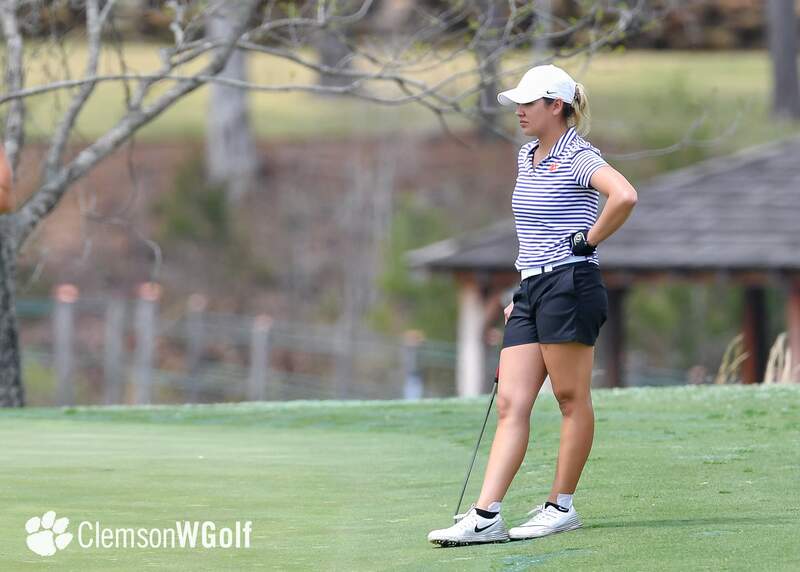 Leading the way individually are Julie McCarthy of Auburn and Micheala Williams of Tennessee, who each shot a five-under par 67. 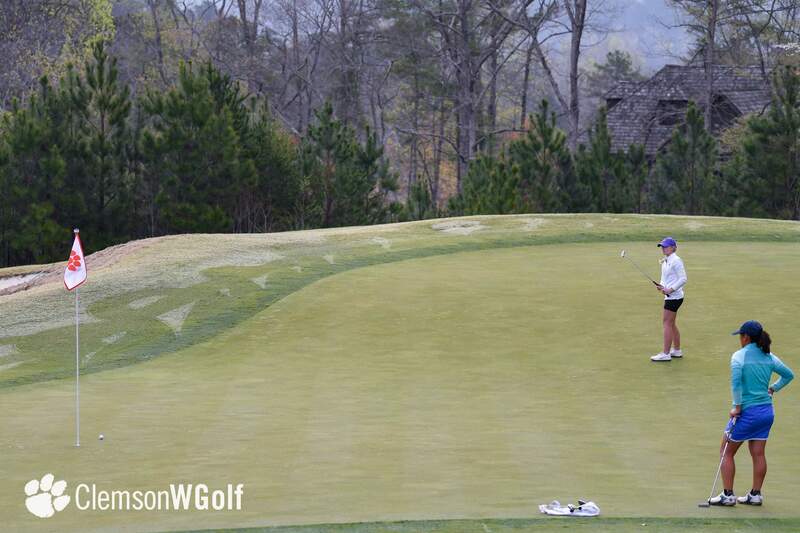 Auston Kim and Courtney Zeng of Vanderbilt are tied for third, one shot behind the leaders at seven-under par. 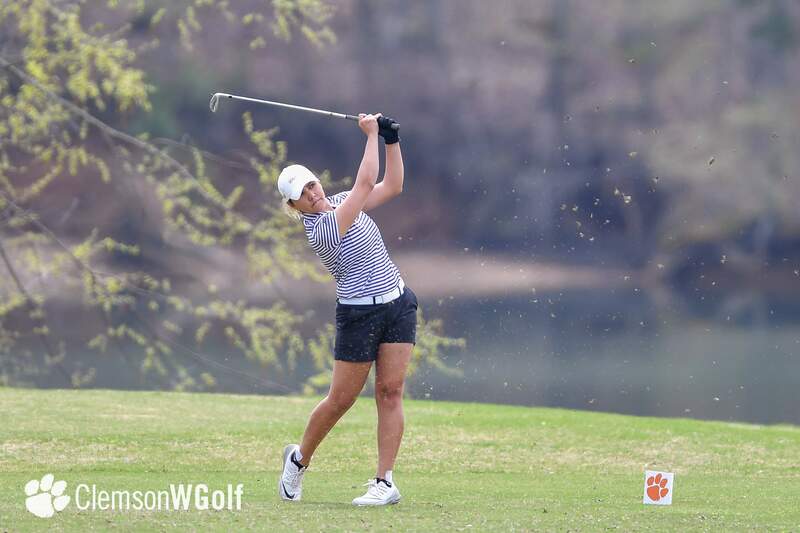 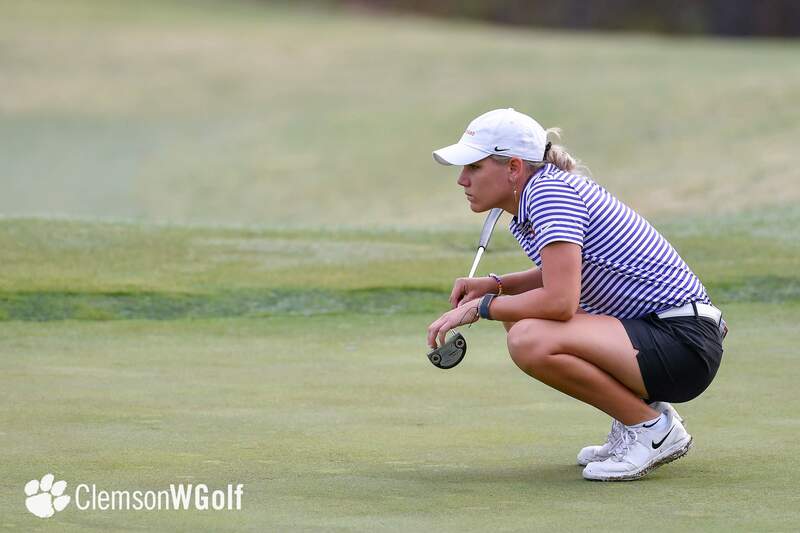 Clemson’s Shepherd and Abbey Carlson of Vanderbilt are tied at fifth with a six-under par 138. 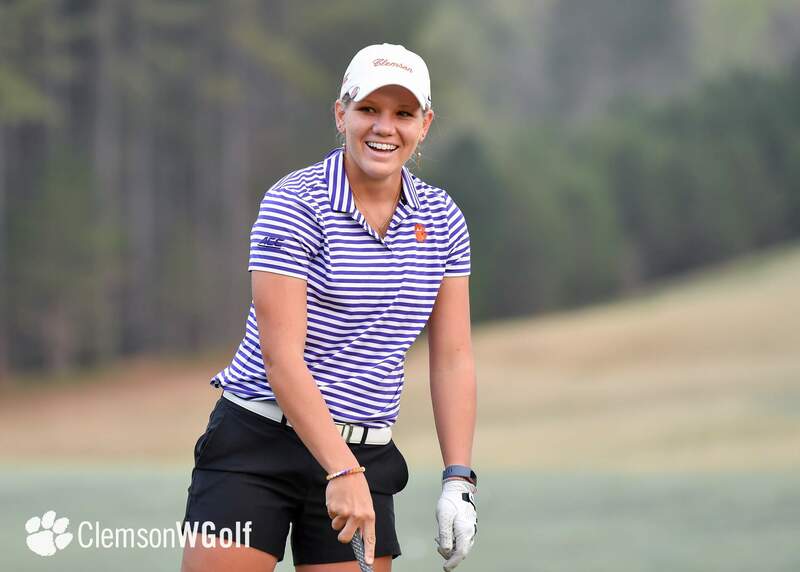 Clemson’s top player, Shepherd, set a new personal best with her 65 in today’s round that consisted of eight birdies and one bogey. 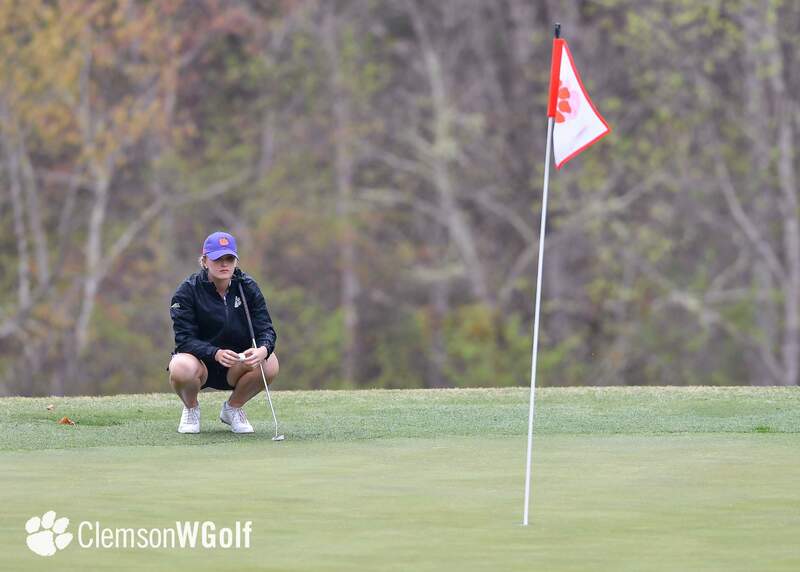 The eight birdies mark the most an individual has had in a single round in program history. 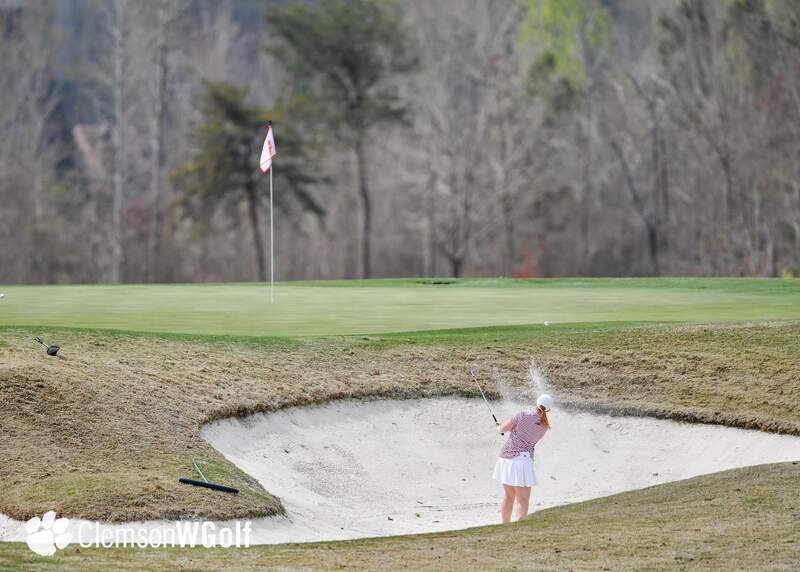 The Peachtree City, Ga. native birdied holes, 4, 7, 8, 12, 13, 14, 17 and 18. 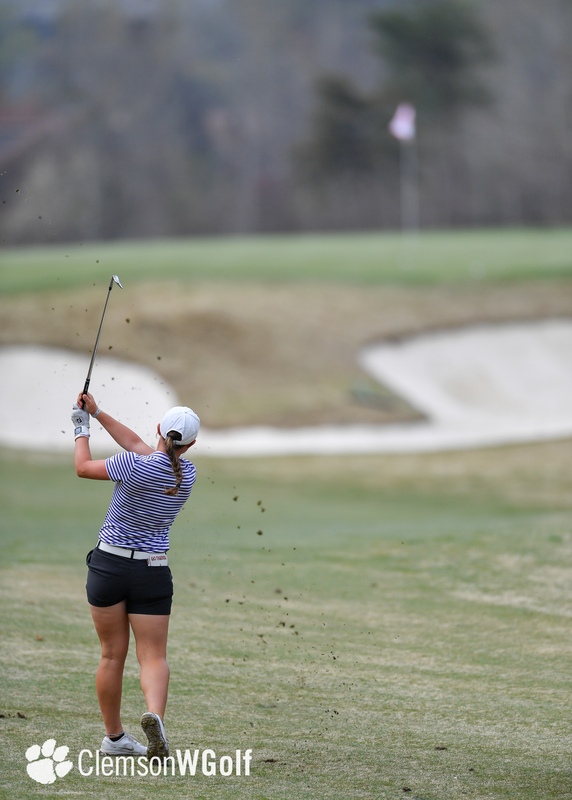 Alice Hewson shot a one-under par 71 today and moved up seven places on the leader board and is now in 18th place. 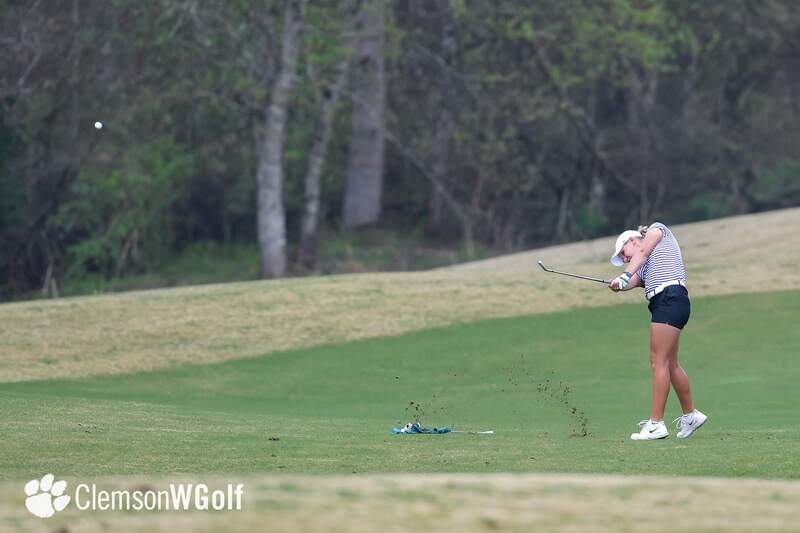 Freshman Gracyn Burgess shot an even par 72 while junior Ana Paula Valdes shot a two-over par 74. 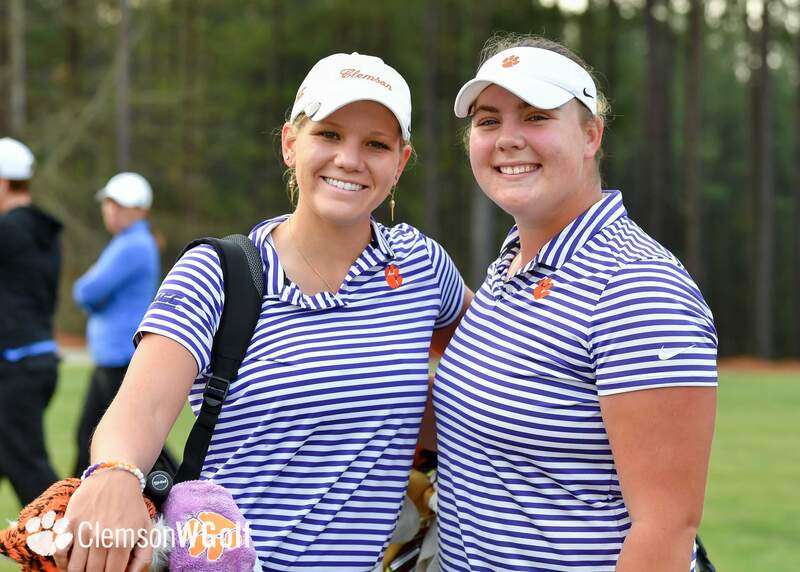 The two currently share the 26th spot with a 144 after two rounds. 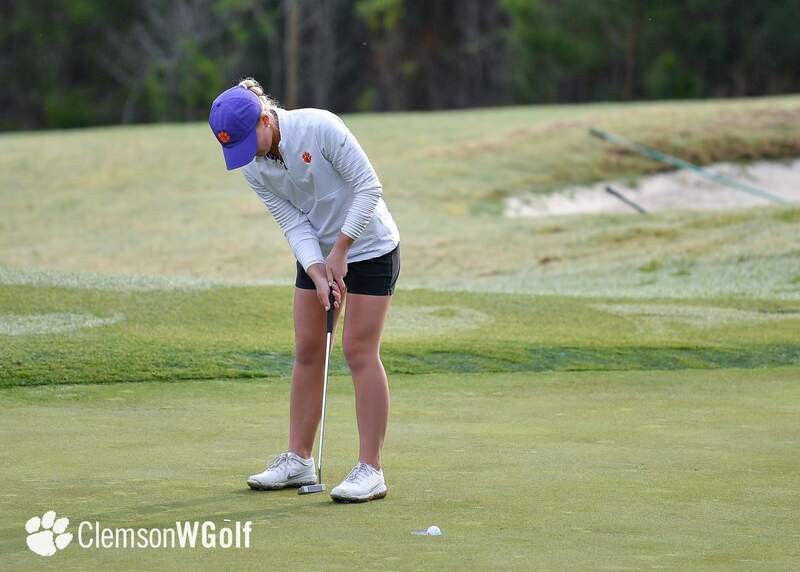 Alexandra Swayne struggled on the back nine of the course designed by Jack Nicklaus and carded a 78. 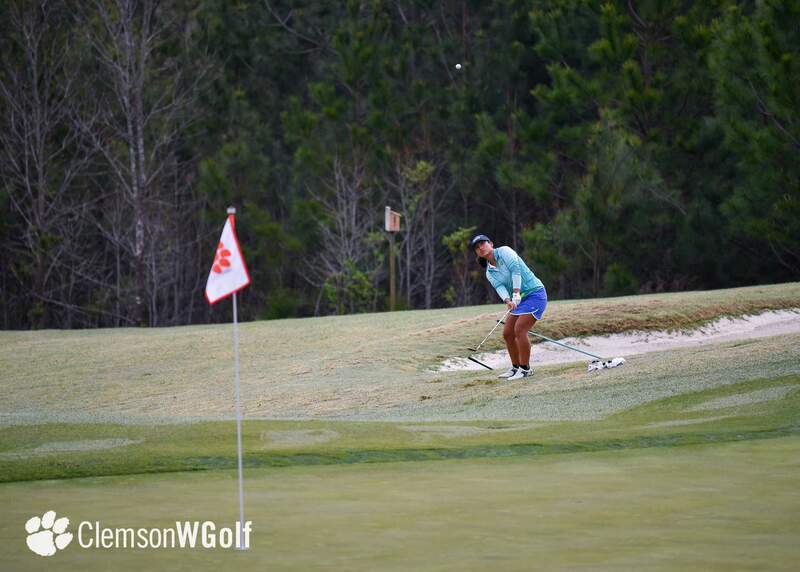 The final round will start at 8 a.m., with teams going off of hole 1 and hole 10. 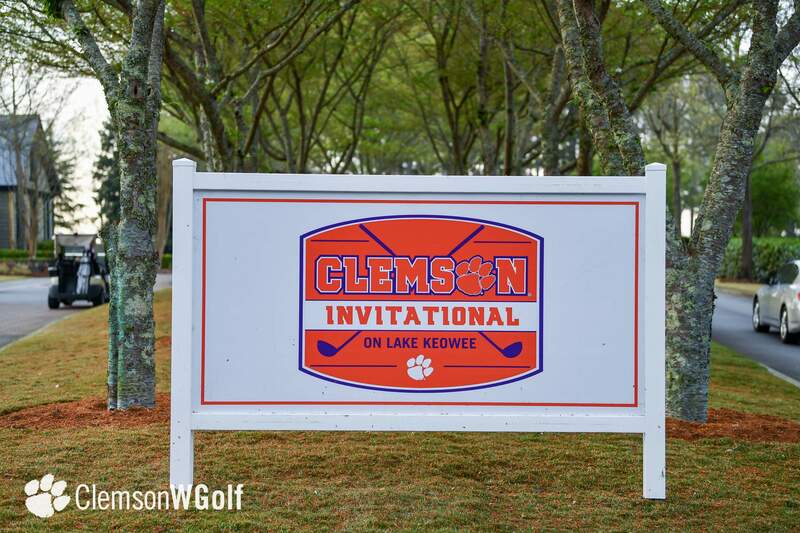 Clemson’s two indivduals will both tee off at 8 a.m., Callista Rice off of 1 and Lindsay May off of 10, while the rest of the Tigers wait to tee off at 9:39 a.m. from hole one. 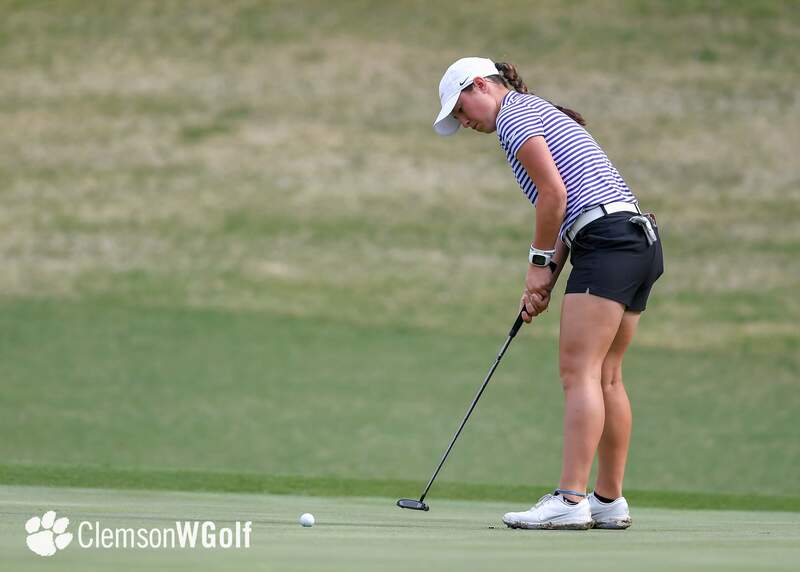 Vanderbilt 555 (-21), 2. 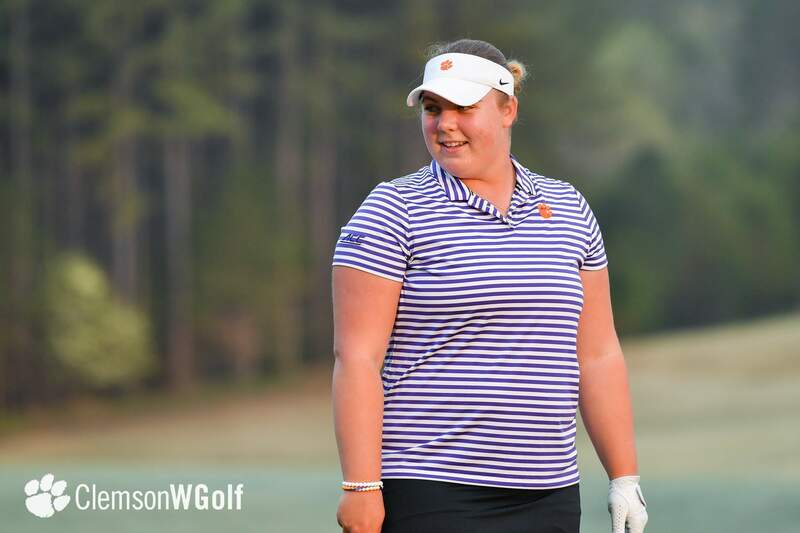 Auburn 563 (-13), 3. 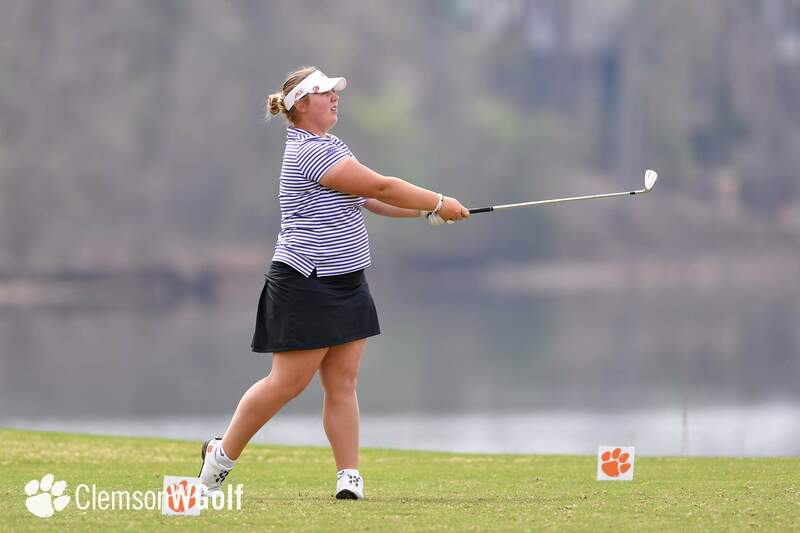 Clemson 568 (-8), 4. 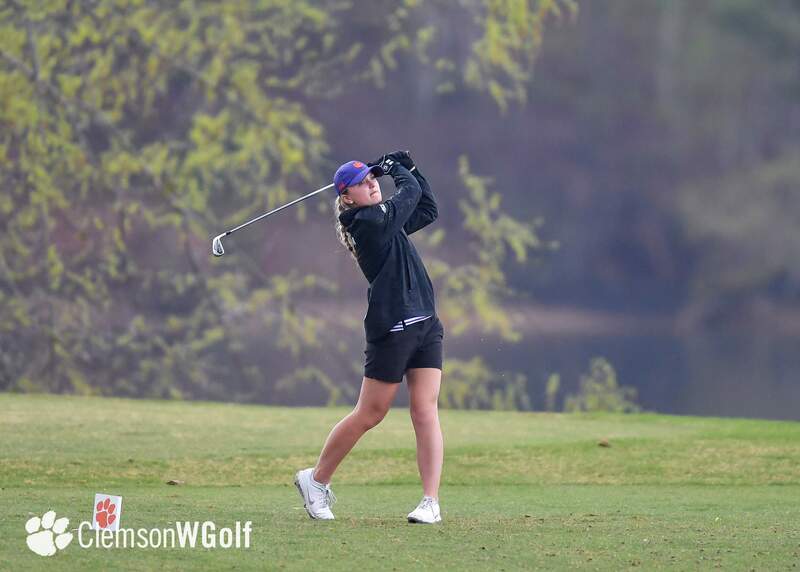 Illinois 574 (-2), 5. 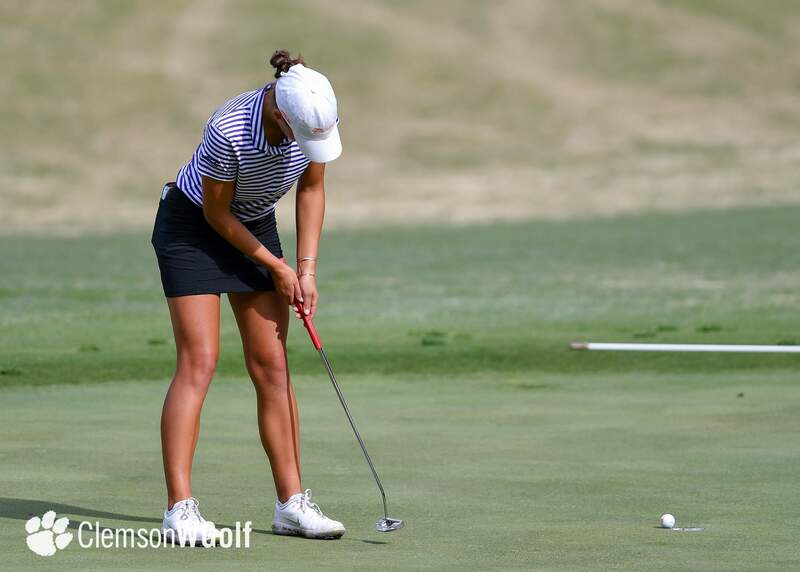 Texas A&M 575 (-1), 6. 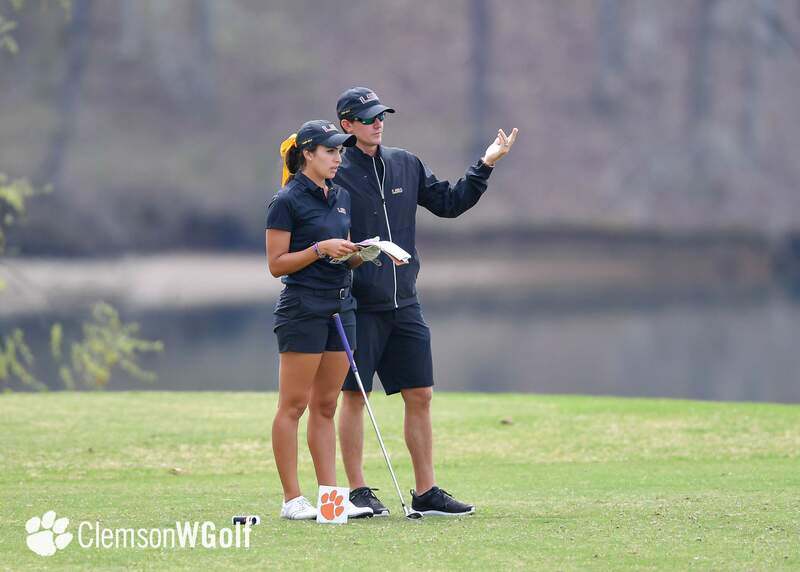 LSU 576 (E), 7. 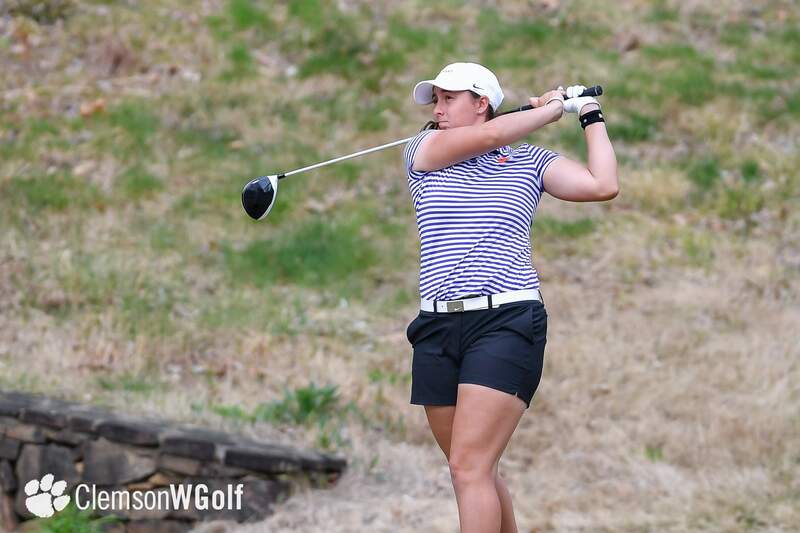 Tennessee 577 (+1), 8. 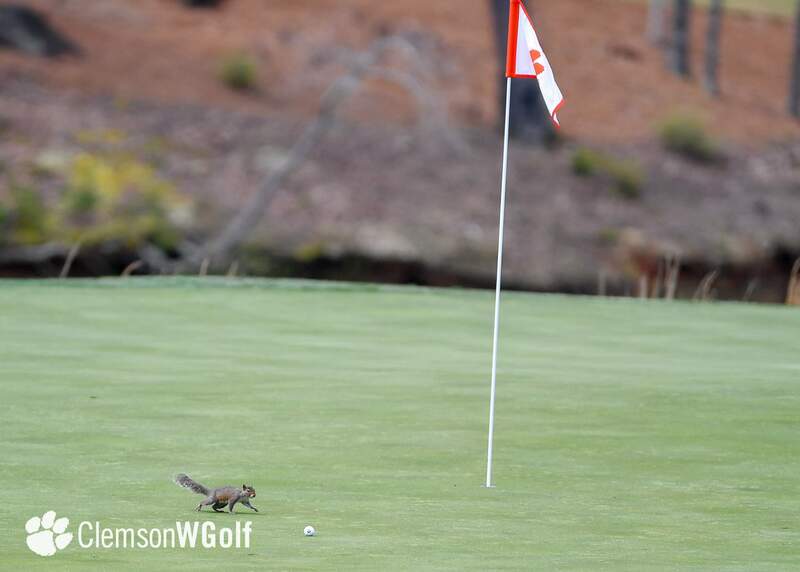 Virginia Tech, Florida State and Augusta 579 (+3), 11. 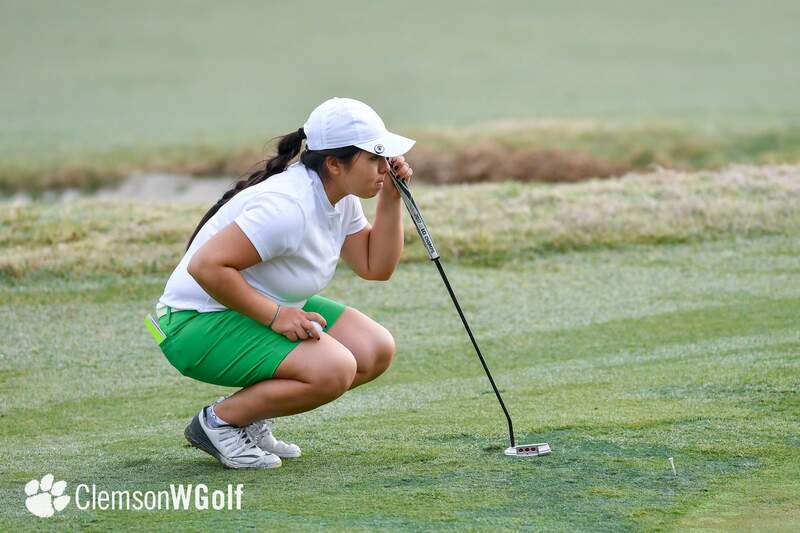 Michigan State 580 (+4), 12. 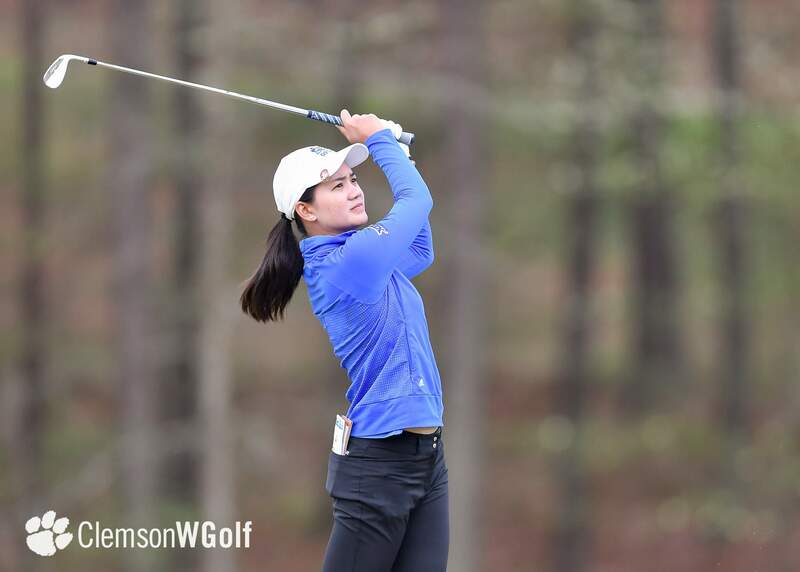 Virginia 581 (+5), 13. 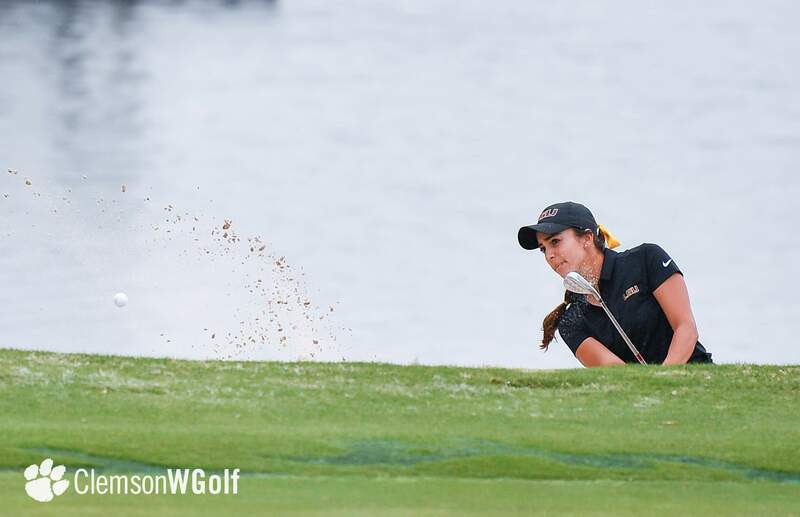 Purdue 582 (+6), 14. 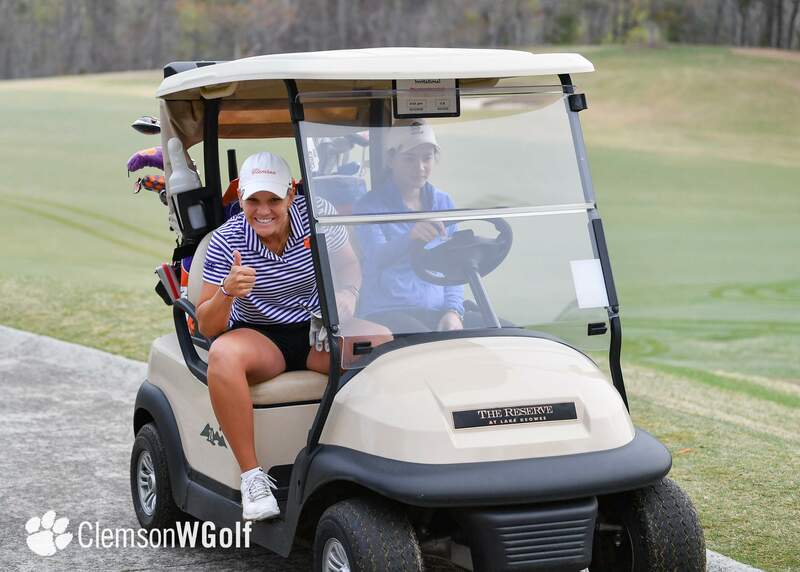 Kentucky 584 (+8), 15. 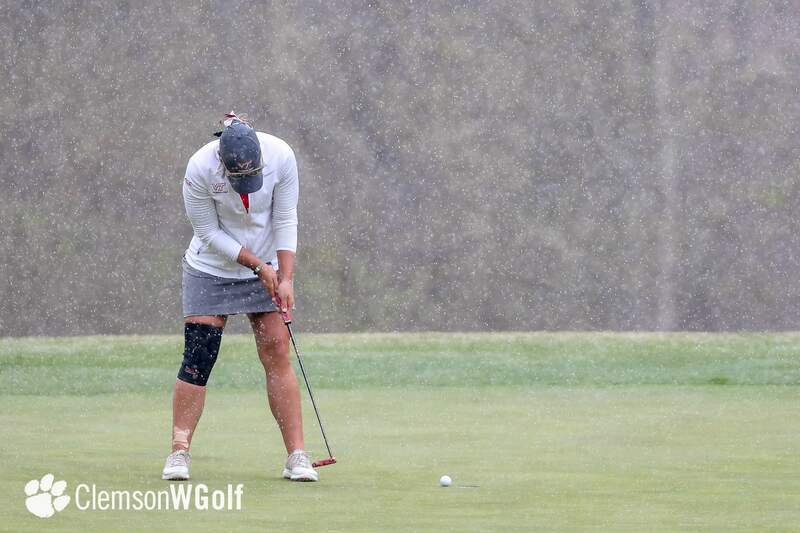 Indiana 585 (+9), 16. 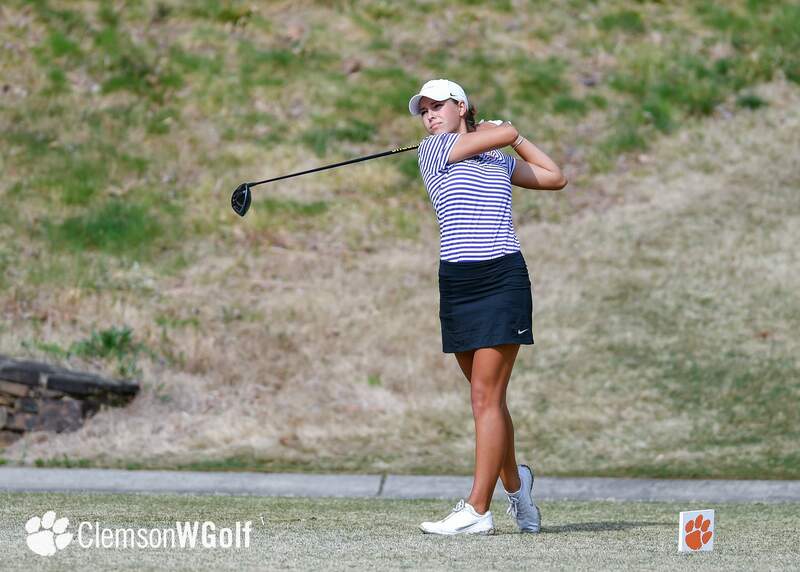 UNCW 591 (+15), 17. 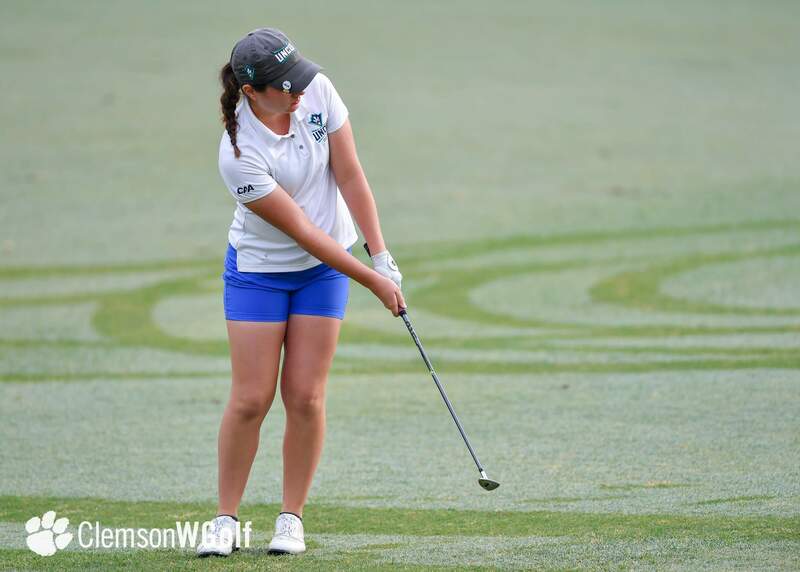 Tulane 595 (+19), 18. 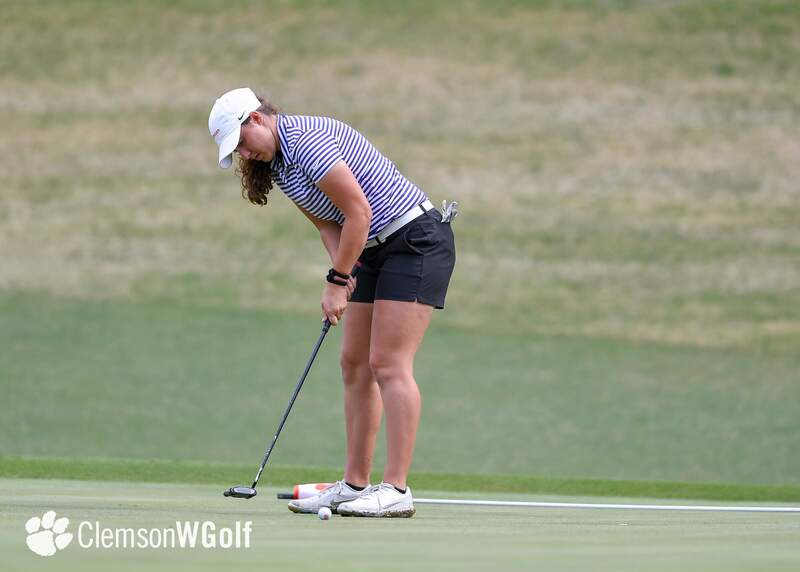 Kansas 602 (+26). 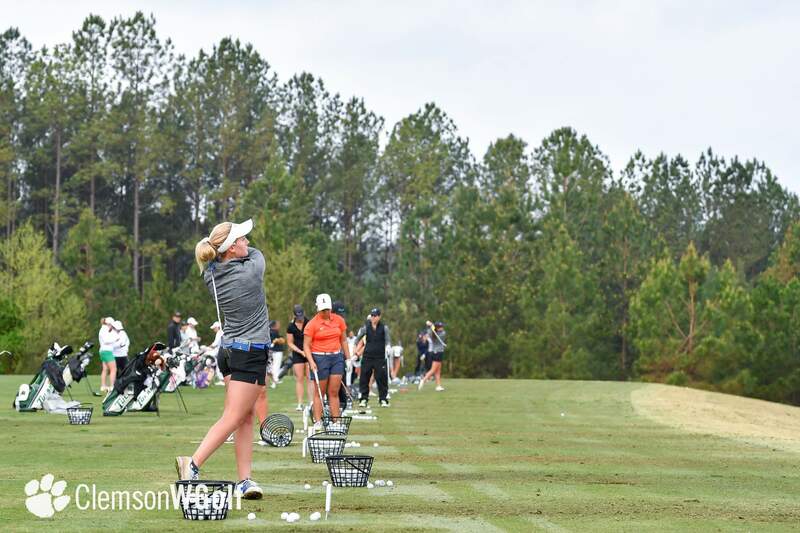 Micheala Williams (Tennessee) and Julie McCarthy (Auburn) 136 (-8), 3. 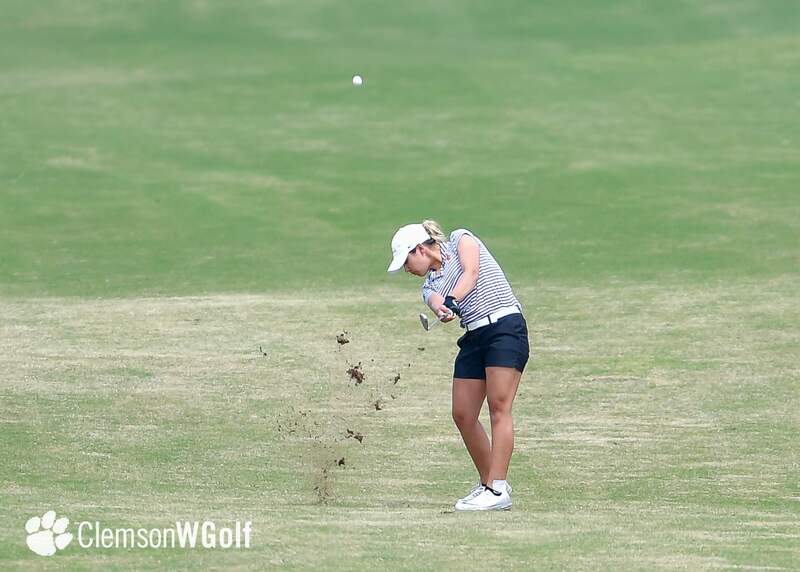 Auston Kim and Courtney Zeng (Vanderbilt) 137 (-7), 5. 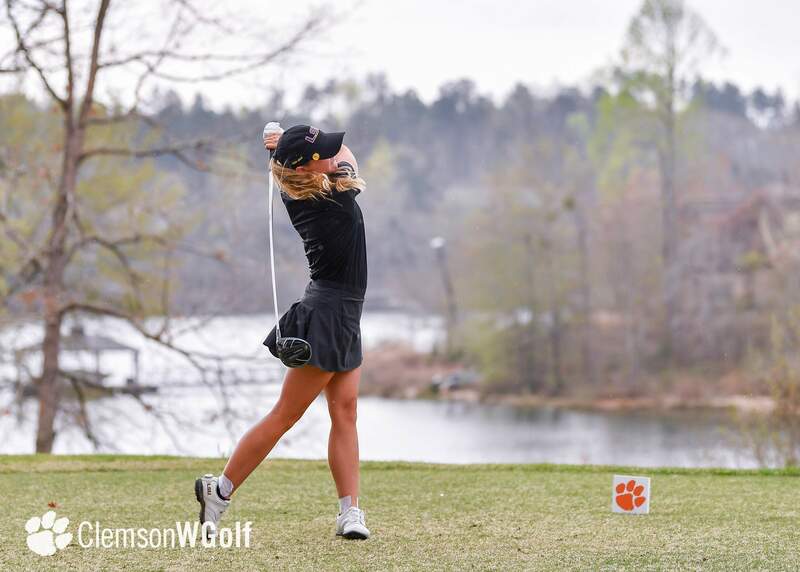 Abbey Carlson (Vanderbilt) and Ivy Shepherd (Clemson) 138 (-6).